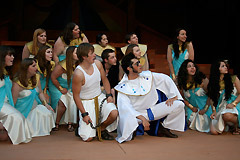 "Joseph and the Amazing Technicolor Dreamcoat" opens the season for Minot State University Summer Theatre, June 16-21. Written by the team of Andrew Lloyd Webber and Tim Rice, this musical is based on the story of Joseph from the Book of Genesis. 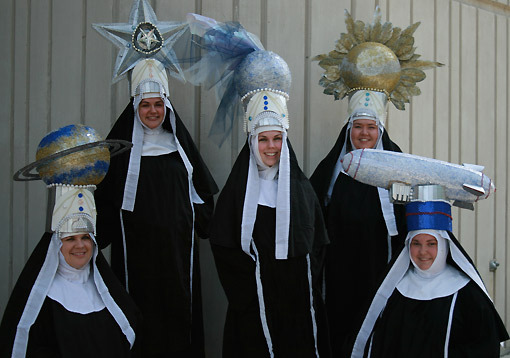 Minot State University Summer Theatre will perform "Nunsensation: The Nunsense Vegas Revue" June 27-July 1. When a parishioner volunteers to donate $10,000 to the sister's school if they perform in a Las Vegas club, the mother superior is hesitant to accept. However, after being convinced by the other sisters that "what happens in Vegas, stays in Vegas," the reverend mother agrees. "The Odd Couple," a play written by Neil Simon, will run July 9-13. The plot concerns two mismatched roommates, one neat and uptight, the other more easygoing but slovenly. 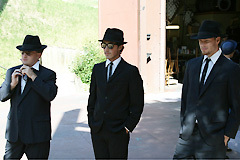 "Sweet Charity," which wraps up the Summer Theatre season, will be staged July 21-26. This musical has music by Cy Coleman, lyrics by Dorothy Fields and book by Neil Simon.